Enjoy a memorable stay at one of these bed and breakfasts in New York. Whether you're looking for romantic getaway or a fun weekend with the family, here is a series of bed and breakfasts in NY that you are almost guaranteed to enjoy! Six Charming Studios with Tons of Amenities! A perfect home away from home, Ivy Terrace gives you a choice of six charming studio apartments, each with 15-foot ceilings and beautiful hardwood floors. Plus, you can enjoy tea or cocktails on your own private terrace! With you delicious breakfast, a fully equipped kitchen, gorgeous queen beds, flat screen TV's (with cable), high speed wireless Internet access, air conditioning, a microwave, a full size oven and fridge, and a private bath; there's not much you can ask for out of a quality bed and breakfast! Ivy Terrace is conveniently located close to such landmarks as Central Park, Bloomingdale's, the Museum of Modern Art, and Madison Avenue. A Bed and Breakfast In New York With a Dash of Elegance and Beauty! 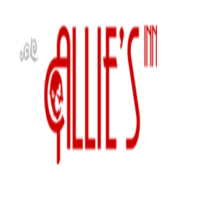 Allies Inn bed and breakfast is a suitable place for your stay here in New York. With its convenient and accessible location, it is just a walking distance away from the famous landmarks and classy restaurants in the city. The accommodation of Allies Inn is designed for the senses creating a welcoming retreat whether you are here for business, vacations or for a long term stay. The Inn offers a private garden, a newly renovated studio and a private bathroom with a skylight. On top of the great amenities being offered, each room has a unique and modern design and a wonderful ambiance suitable for rest and relaxation, a fully equipped kitchen and dining area, and desktop with internet access. Experience Bed and Breakfast Without The breakfast! East Village Bed and Coffee is a bed and breakfast without the breakfast for the fact that there is too much good food in New York City, with inexpensive cafe's, restaurants, and mobile fast food. It would be much better to go around the city and explore good and delicious food. Operating for 14 years, East Village Bed and Coffee, hopes to attract more visitors with its comfortable and relaxing ambiance, affordable cost and its home away from home experience. 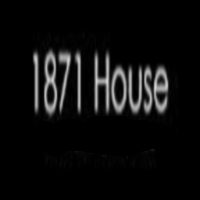 A Bed & Breakfast That Offers Comfort And Elegance! West Eleventh bed and breakfast offers its hospitality and great service to its guest. With its quiet and intimate environment, it will surely make your stay a pleasurable and a memorable experience. The accommodations are perfectly and artistically decorated suited to be a comfort for the eyes and the soul. 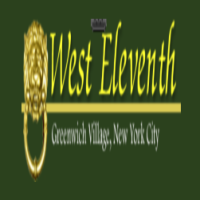 So make your stay in New York a wonderful and worthwhile experience by staying in West Eleventh bed & breakfast, where it is conveniently located near to the best restaurants, cafes and attractive tourist spots in the city. The Best That New York Has To Offer! 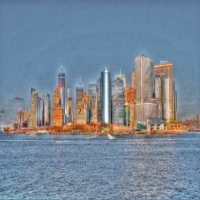 Here at The Canal Park In Bed and Breakfast, they do not just offer any ordinary place to stay, but they offer an experience that brings out the best of New York City. Nestled on the border of Soho and Tribeca, Canal Park Inn is strategically located close to many fun and exciting locations and world class restaurants in the city. Accommodations include a complete kitchen and a dining area, a queen size bed perfect for a good days rest, a gas fire place, a bathroom with shower and off course a quiet and relaxing environment free from the hustles of the city. 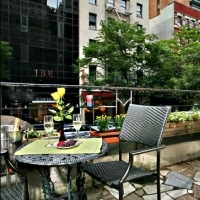 A Place To Stay and Enjoy New York! Come to Rooms To Let Bed & Breakfast; located in one of the best neighborhoods of New York City, where the best restaurants and cafes are just a walking distance away. Each room is uniquely designed and fitted with a queen size bed suitable for a good days rest and relaxation. Other amenities offered are free high speed wireless internet access, a fireplace to keep warm and cozy, a private bathroom and also complimentary breakfast is served to every guest. The place also has a private garden and a parlor which has a classical design that has a calming ambiance and a relaxing atmosphere, suited for guests who want to take a quiet and comfortable rest. So come and make your reservations today and make your visit to New York something to remember. Classical Yet Elegant B&B In New York! 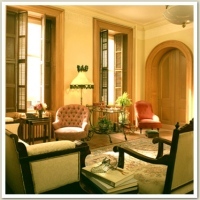 A classical Italian designed Bed and Breakfast located at 130 East 62nd Street of New York, with a walking distance to the nearest tourist hot spots of New York and finest restaurants, 1871 House offers to you a worthwhile experience during your stay in the city, with its hospitality and great amenities you will definitely want to come back for more. The rooms are designed to be spacious and cozy. On top of that it is complete with a television, a wireless internet connection, a fully equipped kitchen and a private bathroom all with a very affordable price. So come and make your stay in New York a pleasurable stay. A Bed And Breakfast That Offers A Spectacular View Of Manhattan! Harbor House offers the best views of New York. With its view from the Harbor, you will absolutely appreciate the wonders and beauty that New York has to offer. The residence offers its great hospitality and complete amenities to fit your needs and comfort. So come to the Harbor House Bed and Breakfast, enjoy the sceneries and the fresh air from the harbor. This will be your New York dream vacation, where you will feel just at home. So come and make your reservations today. Sweet Dreams In New York! Here in The Inn at Irving Place Bed and Breakfast, you will find yourself with first class service and hospitality, also with great amenities. It is a home away from home where you can enjoy the life in New York and at the end of the day you can experience a wonderful and relaxing rest. Located at 56 Irving Place, it is placed in a convenient location where you can just walk to the spectacular city attractions and eat at the best restaurants in the city. The classical design interiors and the quiet and tranquil environment makes it feel more at home. Amenities include a digital cable TV, wireless internet access, private bathroom, minibar, work desk, and a telephone. So make your reservations today and enjoy what the B&B can offer to you. Great And Convenient B&B At The Heart of Brooklyn! 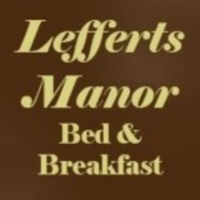 One of Brooklyn's Historic townhouses, Leffert Manor B&B offers its finest and beautiful rooms to its guests. The interior design and classic furniture will make you feel more like at home. With an accessible location to many tourist destinations in New York, you will find this place convenient and comfortable. Services include an airport pick-up service, room service, and a full breakfast. The rooms are designed to be spacious and comfortable, complete with a king size bed, queen size or a twin bed depending on the rooms, guests can also enjoy using the wireless internet access. For more details and for reservations please visit the website.